Kyle Drennen noted yesterday that Fox reported that one publisher was putting disclaimers on the Constitution, as if it were an outdated document not to be shown to children without context. This warning also appeared on the Declaration of Independence, the Federalist Papers, Common Sense, the Articles of Confederation, and other historical documents. 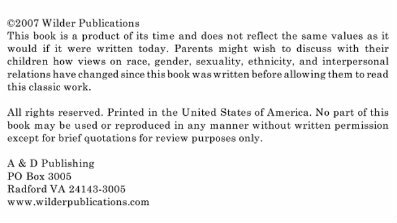 Is this an attempt to inject political correctness into American history, or just a publisher ensuring that oversensitive people don't pull these works from bookshelves?